Prince John is coming to Nottingham and his lust for gold has gone too far. Now he's got the greedy Sheriff of Nottingham checking everyone who comes through the front gate for "contraband" – meaning all the good stuff he's trying to keep for himself. Good thing you know the Sheriff better than Prince John does. 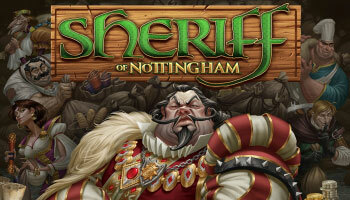 Sheriff of Nottingham is a card game of bluffing, bribery and smuggling. 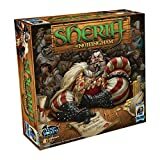 In Sheriff of Nottingham, you are a merchant trying to deliver your Goods to market. Players take turns assuming the role of Sheriff, who must decide which merchants' bags to inspect and which to let by. As a merchant, your goal is to convince the Sheriff to let you in—by any means necessary. 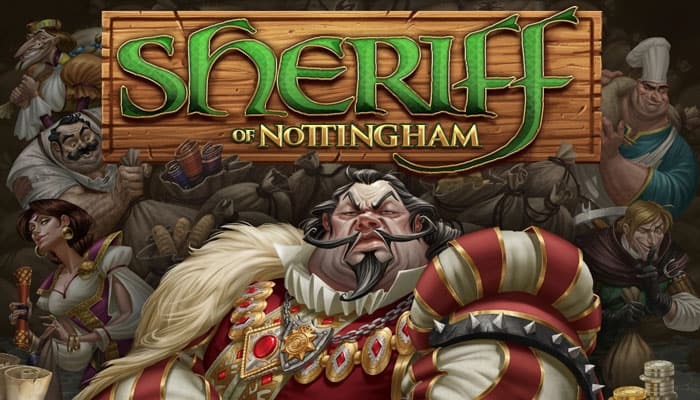 You have come to Nottingham with your Goods on market day, and the only thing standing between you and your hard-earned profits is the Sheriff. All you need to do is bluff or bribe your way past him or maybe, tell the truth. At the end of the game, the merchant with the most wealth wins. Each player takes a Merchant Stand along with the matching Merchant Bag, and places those items in front of them.